← Don’t Buy My Book!! A THOUSAND SLEEPLESS NIGHTS IS HERE . . . GET FREE STUFF!! In the 1970s, escaping a home where he knew nothing but violence and hate, Jim Harding found work, and love, on the largest horse ranch in Virginia. The object of his affections, Nena St. Claire, is the daughter of the owner—a man who ruled his ranch with an iron fist and would do whatever it took to keep Nena and Jim apart. Against the wishes of her family, Nena marries Jim, and after her father dies, she sacrifices everything—including her family—to keep the ranch alive. Now their three grown children have lives of their own and want nothing to do with Nena. She was never the mother they needed. When cancer strikes and Nena is given a devastating diagnosis, can Jim reconcile the family before it is too late? Purchase the book during the week of October 15-20 and receive free stuff!! Details: Purchase your copy of A Thousand Sleepless Nights from any vendor during the week of Oct. 15-20 and email me (as Michael King) at michaelkingwrites@gmail.com saying you did so. PLEASE put “free stuff” in the subject line and where you got the book in the message box. In return you’ll receive a link and password to a secret page containing free downloads. No need to provide proof of purchase; we’re going by the honor system here. Offer only lasts until October 20! Mirror Image: A short story I co-wrote with Aaron Reed. Aaron, a pastor, won the “Write a Short Story With Me” contest I held over the summer. This is the first time the story has been made public. Written in the style of Alfred Hitchcock’s psycho-thrillers, Mirror Image is about a man who discovers he has a double who has a much more exciting life than his. Believing he deserves the life his double is living, he plots to switch places. But reality isn’t always what it appears to be and what Dennis finds isn’t exactly what he expected. An 84-page journal of some of my most personal thoughts and devotionals written while in the midst of that valley that is cancer. ***Charisma House Book Group and Michael King (a colon cancer survivor) are donating a portion of the proceeds of this book to the Colon Cancer Alliance (CCA) and their vision for a world free of colon cancer. The CCA is the nation’s leading colon cancer advocacy organization and is a community that provides hope and support to patients and their families while saving lives through screening, access, awareness, advocacy and research. Read Michael’s story on the CCA website . 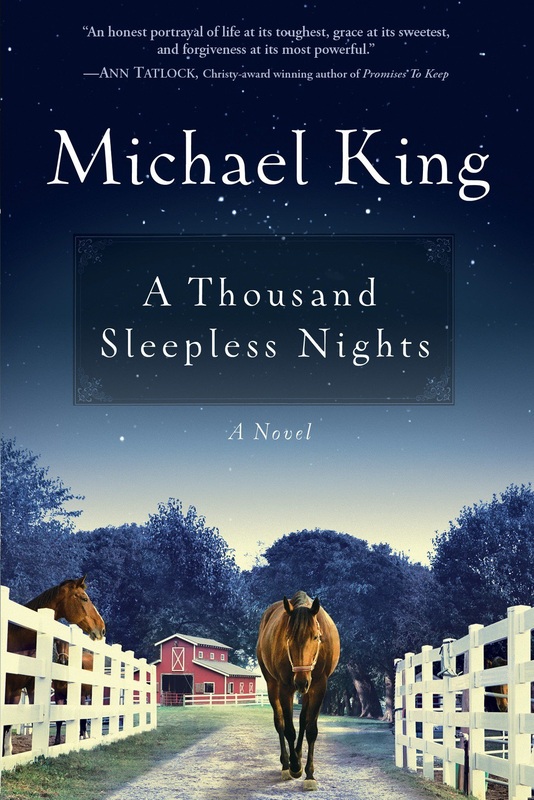 . .
Posted on October 15, 2012, in A Thousand Sleepless Nights, Giveaways, Michael King and tagged A Thousand Sleepless Nights, Aaron Reed, Cancer, Colon Cancer Alliance, Giveaways, Michael King, Mirror Image. Bookmark the permalink. 3 Comments.